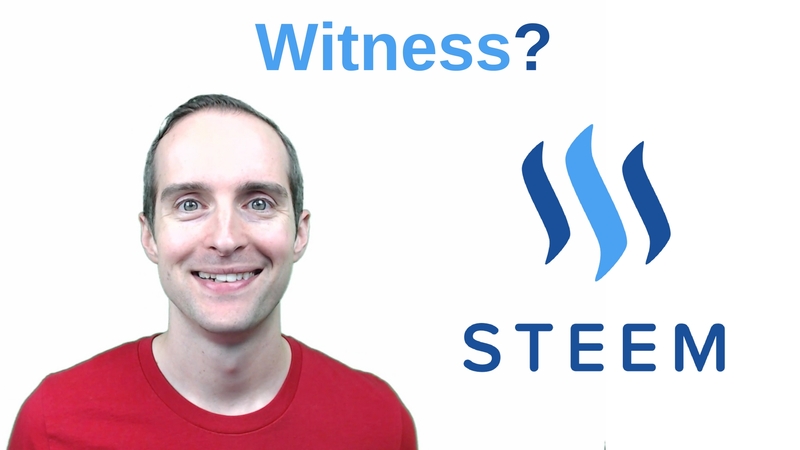 What is a Steem witness? Would you like me to learn and teach the steps to become a Steem witness? View current Steem witnesses at https://steemd.com/witnesses. In summary, Steem witnesses are part of an amazing system for the Steem blockchain which saves massive amounts of energy versus the competitive nature of mining Bitcoin, Ethereum, and other cryptocurriences. Instead of allowing many machines to work on making a block and rewarding the winner with payouts influenced by hashing power contributed, the Delegated Proof-of-Stake system Steem uses allows a small amount of trusted servers to produce each block as explained in detail at https://bitshares.org/technology/delegated-proof-of-stake-consensus/. To paraphrase with my limited introductory level of understanding, the critical tasks needed such as determining who should make the next block in the blockchain, when it should be made, and which transactions to include are determined by the witnesses that handle the calculations. Witness are elected by votes by members of the community in much the same way posts are upvoted where the more "stake" which for Steem is the Steem Power you have, the more influence your vote has on the witness level. When witnesses consistently perform well, their approval rating remains high and they are paid at the compensation level they ask for. If witnesses take actions stakeholders disapprove of from going offline to missing blocks and more, voters can reduce the approval limiting the amount the witness can contribute. Witnesses are a position of great trust because the servers they maintain literally are handling the critical transactions for Steem. As the transactions for Steem grow, we are likely to need more witnesses to continue to maintain and build our blockchain. Being a top 20 witness currently seems to be profitable because each time a block is completed by that witness nearly once a minute, the witness gets a fee which appears to add up to hundreds of dollars or more a day. Becoming a witness seems fairly challenging even if you have technical experience with Ubuntu Linux and can afford to setup the server because outside of being a top 20 witness, the payments appear to be maybe 1% to 5% of what the top 20 receive meaning it might actually cost thousands of dollars to start being a witness and last long enough to make it into the top 20. Actually getting into the top 20 as a Steem witness appears to require a rare combination of both technical ability and community service dependent on communication, networking, and even marketing skills in campaigning for votes. Would you like me to continue to learn more about becoming a witness, document each step I take as I get my servers online, and launch my campaign for votes because I am in a great position to do all of that? Learning about each step is exciting for me and our generosity gives me the opportunity to do everything without the need to turn a profit for the foreseeable future while creating educational resources to empower more new Steem witnesses. As I have been learning about Steemit, I see one of our possible weak points is the witness system. If we get viral growth, we might have a hard time keeping up with expanding the witnesses to match it. If a few of the top witnesses go offline due to hacking, natural disasters, or anything unexpected such as the crash of the Steem price removing the profitability for a foreseeable future in maintaining even a top position, we are vulnerable to not have a critical mass of backup witnesses capable of providing reliable service which then could cause everything to come crashing down. Attrition in the top 100 witnesses is surprisingly high with many of those having served when Steem was originally launched now offline and newer witnesses already in the top 20 which has expanded from the top 19 it was before. With the amount of votes and effort it appears to take to reach the top 20, the more people willing to make the effort to be a non-top 20 witness, the more resilient our network is in the face of any challenges to our witness system. If you would like me to take the next critical steps of starting my server setup, would you help me to become a Steem witness in whatever way is best for you with an upvote and/or helpful comments with tips here because with just researching it now, I still do not know most of what I need to in order to be a witness. If you are confident our witness system is already rock solid going forward and think I would be better off using my time to do something else which would serve our community better, would you please let me know that in a comment with more resources for me to see how deep our witness system is and suggestions for what I should do instead? My initial plan to become a witness is to build Ubuntu Linux servers at home and document the process to help other users do the same because this will give me the lowest cost solution overall give that I have 300 mbs upload and download on my internet with the ability to upgrade I think to 500/500. That said, I might need to use a VPS if the terms and conditions of Frontier (formerly Verizon Fios) are not friendly towards me hosting a server like this at home or if it is questionable whether I can maintain the security of my entire system this way. I have read posts providing ups and downs on both approaches some of which have suggested using an alternate account to begin in case of losing access or getting the test account hacked. If you know a lot about this, would you please help guide me as to what you recommend especially if you are a top 20 witness? I have ranked the top 20 as of today below in case they follow their tags as I do and to help you get to know them! What are my greatest assets for becoming a witness? I can afford to set everything up without needing a profit perhaps ever and teach others exactly how I did it with a combination of free video tutorials and paid video courses showing every single step in full detail. If I can effectively become a Steem witness, it should inspire many others to try also! What are my greatest limitations? I have almost no experience with Linux although I have used command line interfaces as far back as fifth or sixth grade and am very excited to learn the basis of Ubuntu Linux to allow me to setup the servers. I am fairly certain I can watch video courses combined with following the steps to get up to speed fairly quickly. While I am known online for my hacking tutorials in partnership with Ermin Kreponic, I personally have very little hands on experience with networking and IT security. After all the videos I have watched and the in depth tutorials available, I am confident I can setup and maintain a secure server. Here are the links I have visited so far in my research and I am very grateful each poster took the time to share in detail what to do to become a Steem witness because these posts gave me the courage to try. I am certain I have missed lots more which I will be looking for immediately after posting this. Would you please share any helpful links I have missed outside of those shared in these guides in the comments to help me research faster? Who are the top 20 Witnesses as of June 18, 2017? Thank you very much for reading this post! Will you help me decide with your votes and comments what to do next with my idea for becoming a Steem Witness? Hi @jerrybanfield, I'm a new follower of yours and I see that you've got a lot of influence and some pretty good advice for a poor crypto noob like me. Although probably your most endearing quality is the love you have for our community, it's a love I share and this platform has given me some amazing friends and opportunities since I joined a week ago. I have a lot of friends who are witnesses and I highly suggest you speak with @timcliff, @ausbitbank, and @theprophet0 in discord or steemitchat regarding any questions you may have! If you would like any help getting on the discord channels I can supply you with the links or try to see if they are free to talk to you! I will vote for you and I'm excited to learn with you sir! I have dreamt about what it would take to become a witness, and you are indeed in a superb spot to be able to do it! Best of luck Jerry! What is Witnessing exactly drpuffnstuff, is it the same as staking? Oh cool, can I vote for you @drpuffnstuff ?? I think witnesses are one of the least understood aspects of steemit. I know in the month I've been here, it's been the hardest thing for me to get my head around in terms of who to vote for. That said, some of the witnesses (I'm sure others are as well) are doing some really great things. The Minnow Support Project was founded by witnesses @aggroed, @ausbitbank and @teamsteem. It is something I've become involved with and it's been really rewarding in terms of getting to know other steemers while giving my work greater exposure. It's also changed my focus and taken me in a direction I was not expecting when I joined. I'm sure you would bring something great to the witness role as well Jerry, if it's something you decide to pursue. I have voted for witnesses but indeed it is not very clear to users what these witnesses are about and why it is so important for users to vote for witnesses. There is an information disparity here. you better hire someone to do it. what are you doing when under attack? I would vote for you Jerry. Find out what you need to do! How do you post gifs ? "With the amount of votes and effort it appears to take to reach the top 20, the more people willing to make the effort to be a non-top 20 witness, the more resilient our network is in the face of any challenges to our witness system"
Seriously ?Im pretty sure it still doesn't do anything to minnows. We would love to know more about it Jerry , thanks for sharing this . Thank you jerry for your great info, we learn a lot from you, You're the man !! Do it Jerry !! You have my vote for sure !! In the end is all about trust and going with your instincts ! Yes I think its a great idea. I was waiting for you to step up to the plate. You have my vote. I believe you need to be very active in the community, not just by posting rather up voting, commenting on other post and replying to people's comments on a daily basis. I think you would be a good choice Jerry. You are working hard to promote SteemIt.com, and the community. Keep moving forward! Jerry, all of your videos help me to learn so much more about the cryptoverse and most importantly, how to explain things to others and help spread the word about this amazing online revolution. Im greatful for your hard work! so, is steem witness supposed to counter climate change? as a back up witness i think it will be great for a guy like you with a good following and obvious care for this movement to be a witness. And you can show the smaller guys who might not understand how to do it also...do it man! You should become a Steem Witness Jerry! You have been a leader in sharing information and I know you are committed to Steem! I'm not a programmer, so I can't help technically, but I'll vote for you! I appreciate what you do, Good Luck! Keep pursuing this Jerry. I think you'd be doing a great service to the community. And we could all be better informed about how the witness process works. You're just the person for the job. People related you as the Dash Coin guy I think you could lose some credibility on Social Networks if you also decide to be a Steam Witness ... But maybe I'm wrong who knows for sure right? This is an amazing post on becoming a witness. Nice job man. It gave me a lot of insight into the witness program. I would vote for you Jerry. Get your learn on! Just for our understanding of what being a witness is about it would be great to have someone document the whole thing. They seem to be the backbone for the Steemit system. I am wondering what it is in it for the witness? Do they get paid for the effort and responsibility? Please keep me posted about his, I am interested. Jerry, again thank you so much for your upvote. Very highly appreciated. I am very much looking forward to the topic "Steem Witness". 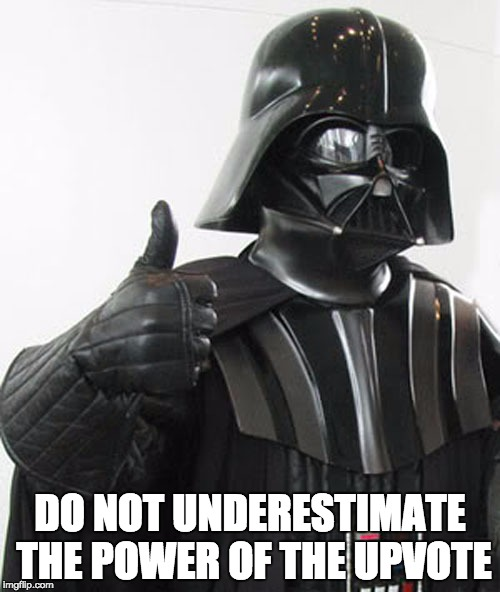 Please do not upvote this comment and give it to somebody else. Thank you again. thanks jerry , it is very insightful for us. Prior to this post I had no idea what a witness really was. Even spreading this word to the community is important. I would absolutely to see a video series explaining further what a witness is and exactly how it works and how to become one. Please fill us in on what you learn and how it goes. I believe strongly in the steemit platform and many of us do. I have no doubt that I am not the only person who is reading this that is interested in possibly becoming a witness at some point. Witnesses get to vote on a lot of big decisions. Could you tell us, what is a specific area of Steemit as a platform, where you think you'd be a great voice to listen to? And follow up question, what would be an area of Steem in which you'd not feel as confident commenting on? Love your question here because I had not considered that aspect yet! I do not even know enough to know my weaknest points or what I could most effectively comment on! Jerry thanks for the post! Guess it's time for us - the Anonymous collective - to become a witness! Since Steemit is THE platform that combines all ideals that we've fought for since 2012: Freedom of speech, no censorship and decentralization by uniting the people at the same time. I wish I could help more but I have been trying for a week now to 1. Figure out how to mine Steem 2. Even remotely understand what a witness is 3. How to build income and help the community more every time. I have to say all 3 of these things seem to be hidden in some dark dungeon as I can't find much of anything that makes sense. Thank you very much @jerrybanfield lets all work together to make steemit bigger and better together !!!! Hey Jerry thanks for all the useful info you post. I will vote up all your posts! There's so much to learn. Thanks for all your help Jerry. You've got my vote JB! And thank you for posting this! I was wondering and this explained it in a plain and simple fashion. Thanks sharing with us this amazing information, @jerrybandfield! Ok cool! I was unsure what a "Witness" was. Thanks for the info on this topic. I was curious. People keeping mentioning Witnesses. Please continue to demystify the Witness program. Much appreciated. Sounds like you would be a great man to have on the witness team. Thank you for all you do. Great write up Jerry. Being at Witness is certainly competitive. One of the reasons I decided not to become a witness for the time being is because there is a low percentage chance of breaking into the top 20 or even the top 40 for that matter. The ones at the top are very skilled and often they have pretty fat Steem wallets. I wanna ask you that is it compulsory to add my friends as a witness or can I add any of steemer ??????? Thank you so much. And ya I follow your cryptocurrency tips and tricks on youtube too. You give such a lovely guidelines to each and everyone out there. Jerry You are my First steemit post Always great information keep up the good work!!! I can't praise you enough Jerry for your awesome videos and tips , keep the good work up . Jerry this is off subject but i fell like you have yellow fever, is your wife asian? Hopefully one day I'll join the ranks of witnesses. Good luck to you. Keep being a Steemit Big Dawg Jerry! Nice article Jerry! I'm new to Steem It and as an overachiever, I'm like hmm should I be on the witness tracks :) Anyways, best of luck. I'd totally vote for you. Nice read as usual!, if you want to be a witness, just go for it! Great Info @jerrybanfield Thanks friend! I am excited about the video tutorials. I have high expectations and I am sure you will deliver as usual. YOU HAVE MY VOTE! 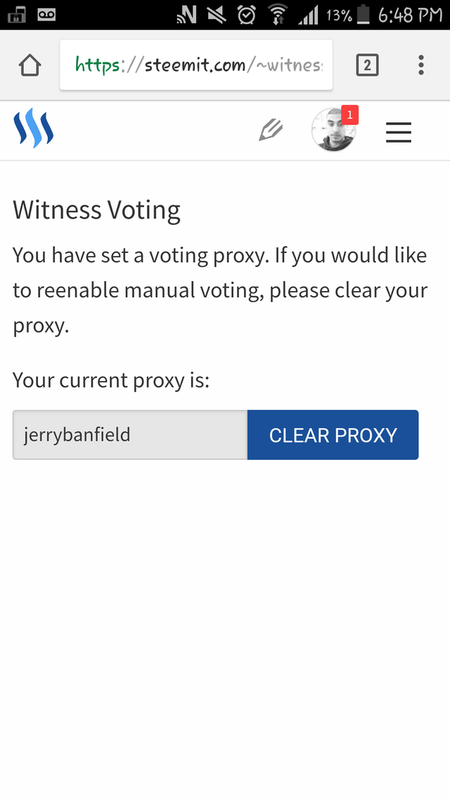 @jerrybanfield for some reason i can't vote for you as a witness so i did this not sure if its the same thing ...? I would vote you Jerry. Keep providing value. Detailed post for those that are looking for an explanation or need it. @jerrybanfield thank you so much for your youtube videos on Steemit which I found in a related video on ethereum. I learned about this site through you just a couple of days ago and I'm excited to build followers and grow on steemit with my own unique content. I love watching your content, especially because of your apparent honesty which I value above almost everything else in a person. Your enthusiasm is also great! Keep up the good work! thanks for the info! love what you do for the community! Thank you for documenting your research on running a Witness node. It is an area of mystery for me, and I'd love to follow your future posts that describe your experiences. Maybe it will inspire and help me (and others) to run our own nodes to support the Steemit ecosystem! I have followed your posts for a while, and you definitely deserve my vote! Wish you all the best! I am a new user and planning to host a witness node. I will setup a cloud server . I do have experience in linux and as far as understood i have to get code from github and build it. My main goal is to learn the system in that process ..
Just the article I've been looking for! Thank you so much Jerry. Im still learning how all this stuff works,thanks for the infos! You'd be a great Witness! Upvoted! Great info Jerry! Keep up the great work. By the way have you heard of Dash?!? And the recent price jump? And the wallet update? Man I wish I had a MN. Awesome. There are a few tutorials that teach people to setup witness node. But still I think it's way too complicated for most people. I am think make the witness node an image, either AMI or docker iamge. So people can just download, update config file and run it. Will share you the best if i came across. BTW as usual great post with research..
Bullocks! I was really hoping that this would be a video post like the ones you did brilliantly. I usually listen to your vids while I work. It keeps my blood flowing. Having it in Steem Power is where 99% of my Steem is inside the wallet tab!